Live oak (Quercus virginiana) is probably the most popular tree in the Deep South. Its native range is from Virginia to Florida and along the Gulf Coast into Mexico. It is a coastal plain tree that does not normally occur in the uplands. 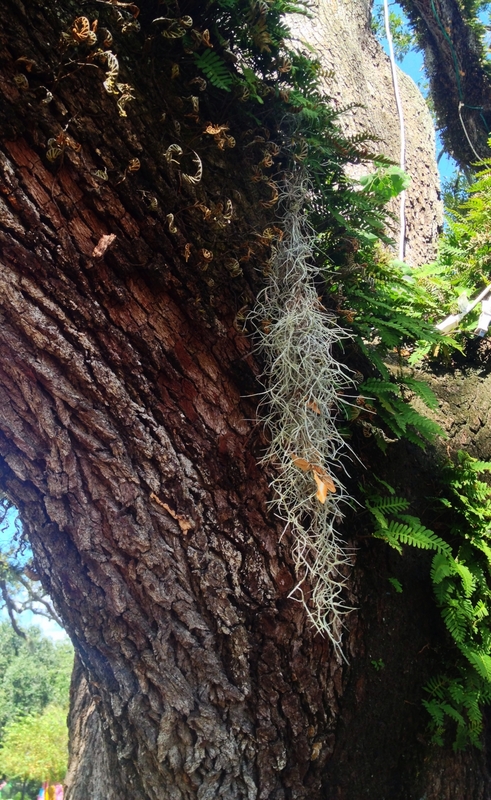 There are several traits that make the live oak unique among the oaks. It is evergreen, or almost so, because the old leaves drop about the same time as the new leaves appear in the spring. Thus, the name “live” oak. 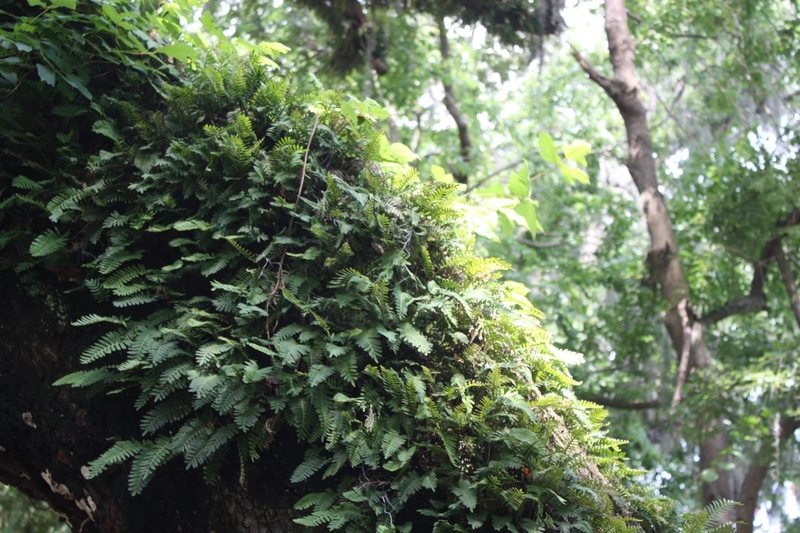 It has a distinctive low spread and form. It is common to see mature trees with lateral limbs that reach the ground. Many old trees have a branch spread which is twice the height of the tree. In City Park, Mother Nature and our forefathers worked together to create a live oak forest that is premier in the world. 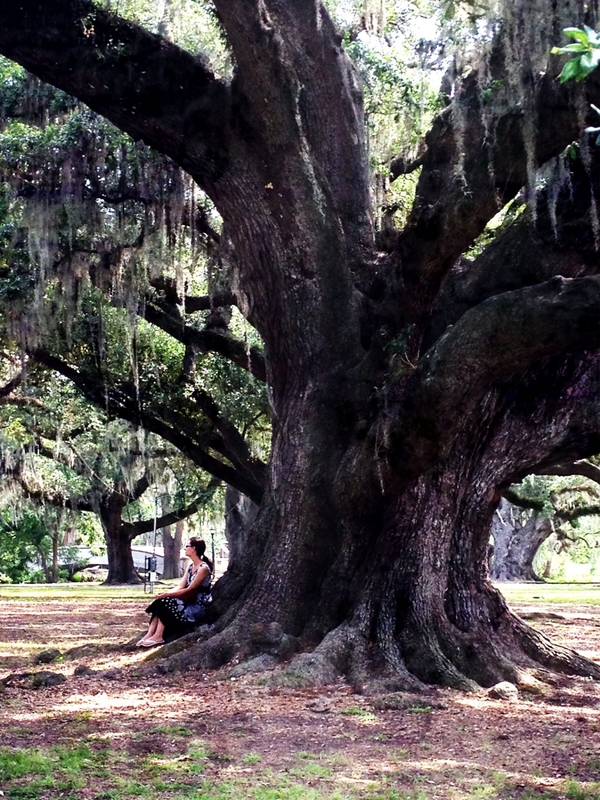 New Orleans City Park has the world’s largest collection of mature live oaks. 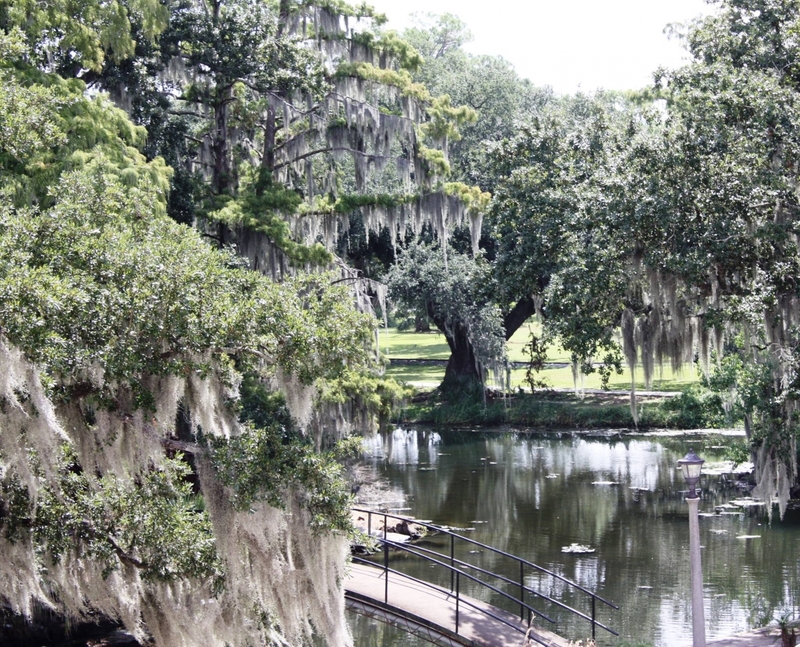 The majority of City Park’s oldest and largest live oaks are located along the lagoon which was created from Bayou Metairie, the remnant of an ancient distributary of the Mississippi River. Once can find the Old Grove between Bayou Metairie and City Park Avenue. It was along this old bayou, many hundreds of years ago, that the oldest of the live oak forest began. Under these young trees the Indians who traveled Bayou Metairie camped. 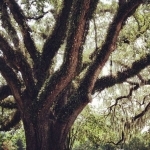 The McDonogh Oak, Anseman Oak, and Suicide Oak are among the remnants of this ancient forest which started long before Iberville and Bienville first scouted the area for a site to build the city and port that became New Orleans. In the first century of civilization in this area (1720-1820), there was not a lot of activity beneath the shade of the already old live oak forest. But the area was far enough removed from the city that gentlemen selected to duel beneath the giant oaks. The trees were also the site of an occasional suicide. Hence, the names Dueling Oak and Suicide Oak. 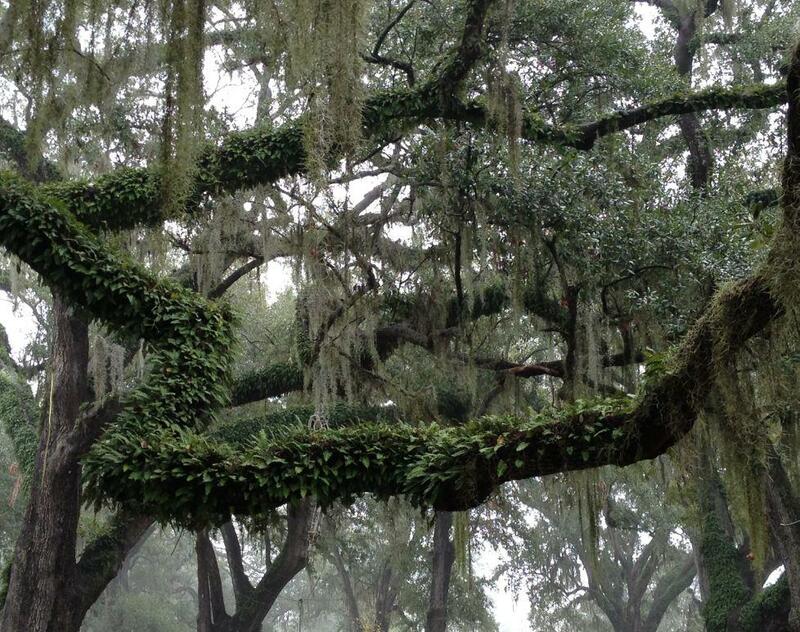 During this period the live oak forest regenerated itself as it had done throughout the centuries. Other trees, progeny of the oldest patricians, began their lives to become many of the larger live oaks present in the park today. 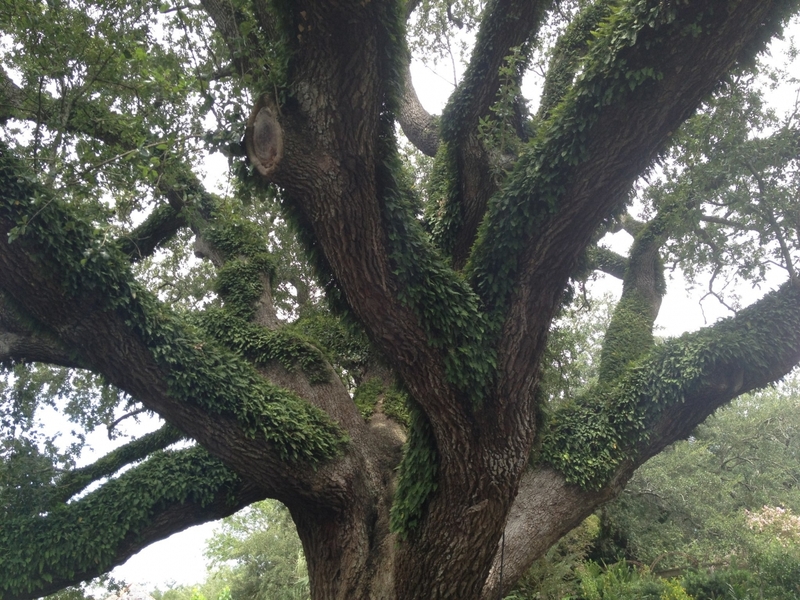 In the mid 1800s, the people of the city began to use the old bayou bank and live oak forest as a park. The 100-acre tract known as the Allard Plantation was donated to the city by local philanthropist John McDonogh. The year 1891 marked the beginning of the development of the 1300-acre urban park that we know today. The guiding force behind this development, the City Park Improvement Association (a group of business and political leaders), was organized by florist Victor Anseman. The present day lagoon system was begun by incorporating Bayou Metairie. Landscaping included the planting of live oaks, another generation (manmade) was added to the forest. During the 1930s, the dramatic work of the WPA programs added new dimensions to the park. 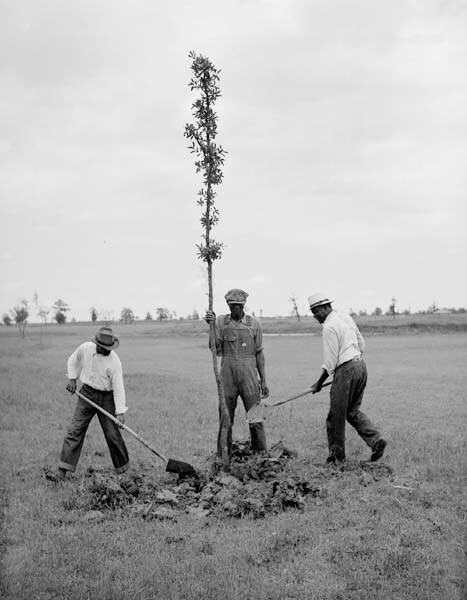 Extensive tree planting was accomplished during this time which greatly expanded the live oak population of City Park and added yet another generation. These trees are now reaching the 10 foot circumference size. Since then, the Park administration and citizen groups have continued to add to this dynamic live oak forest. Being along City Park Avenue was a fortunate place for these oaks trees to be during August 2005. Hurricane Katrina devastated nearly the entire Park – with the exception of the strip of land we call the Old Grove. Bayou Metairie had spent so many years rising and falling leaving behind silt, that this part of the city is considerably high ground. Our oldest trees did not sit in water for days or weeks. The Park lost over 2000 trees in the storm and fortunately most of the trees in the Old Grove were not among them. With the development of the Friends of City Park, a volunteer support group, the need to provide care for this priceless natural resource became apparent. A tree inventory of the live oaks was completed in 1983. 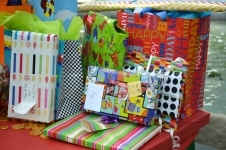 Close to 250 trees with a circumference of over 10 feet were inventoried. 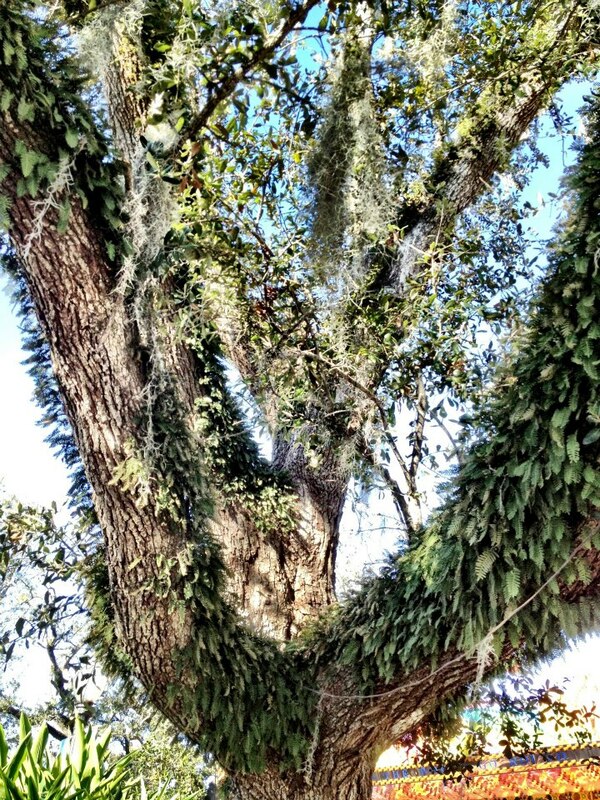 All of these trees were registered with the Live Oak Society. In connection with the updating and printing of this brochure, the Walking Tour trees were re-measured in 1999. 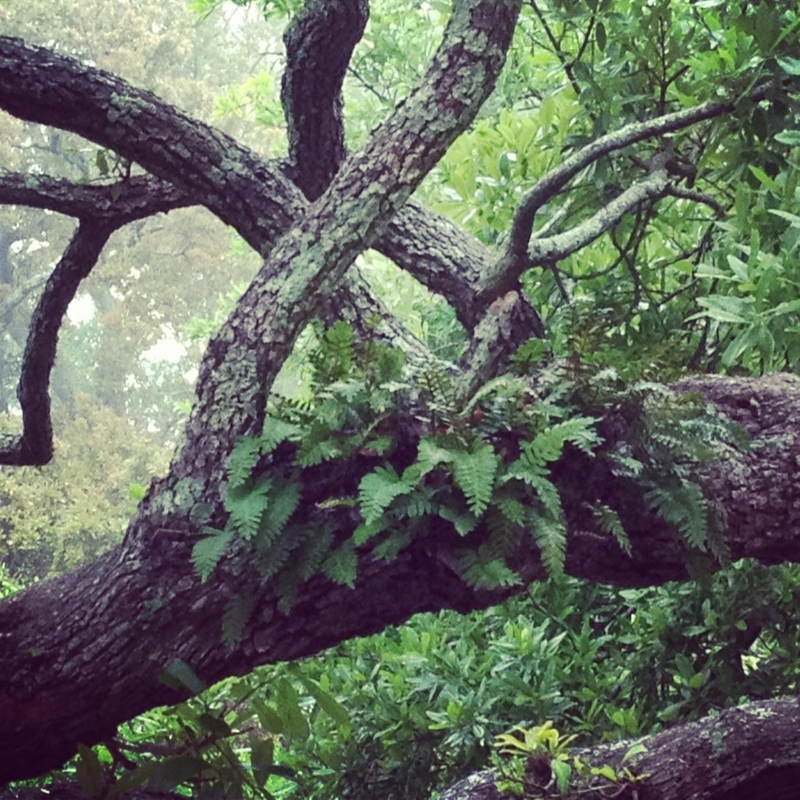 The new measurements reflect the growth of these 26 historic live oaks. 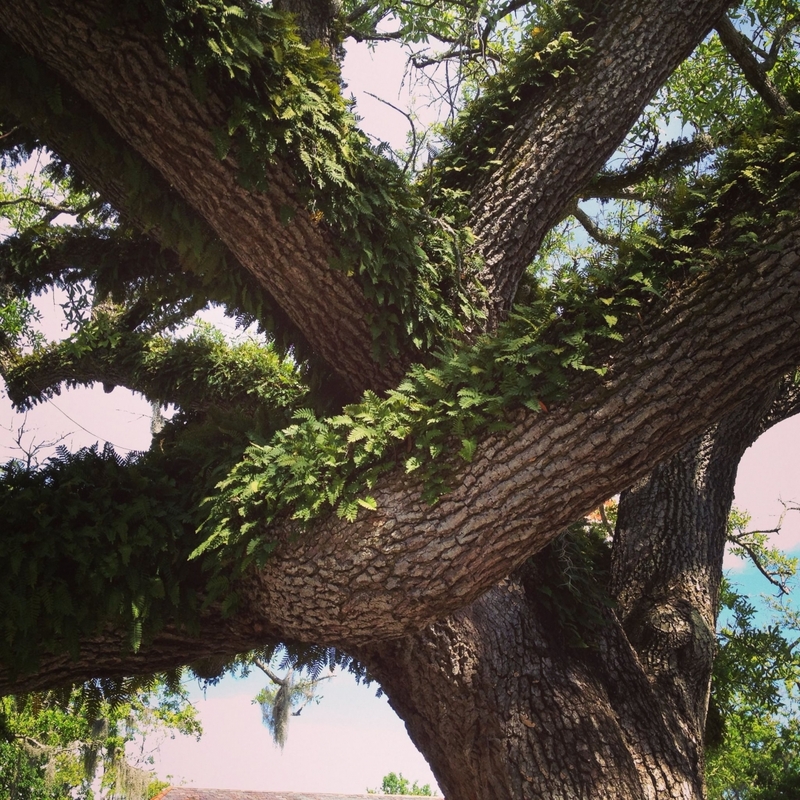 Not surprisingly, the oak that grew the most is the Enrique Alferez Oak located in the Botanical Garden. 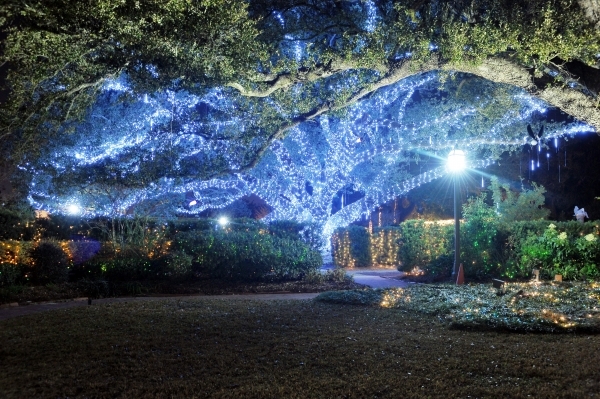 This is the tree that is draped in dripping blue LED lights during Celebration in the Oaks each year. It has the benefit of regular watering and feeding in that location. 1983 measurements: 16’1” in circumference and a crown spread of 112’ to a circumference and a crown spread of 141’ in 1999. Many of the largest oaks continued to show excellent growth. The Grandjean Oak added 2’2” in circumference and 7’ in crown spread. Most of the other trees grew about one foot to one and a half feet in circumference and added about six to twelve feet in crown spread. 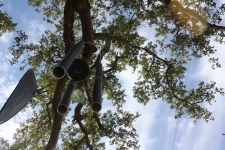 The Friends of City Park or the City Park Improvement Association Tree Fund provides care for not only the live oaks, but all of the trees in City Park. 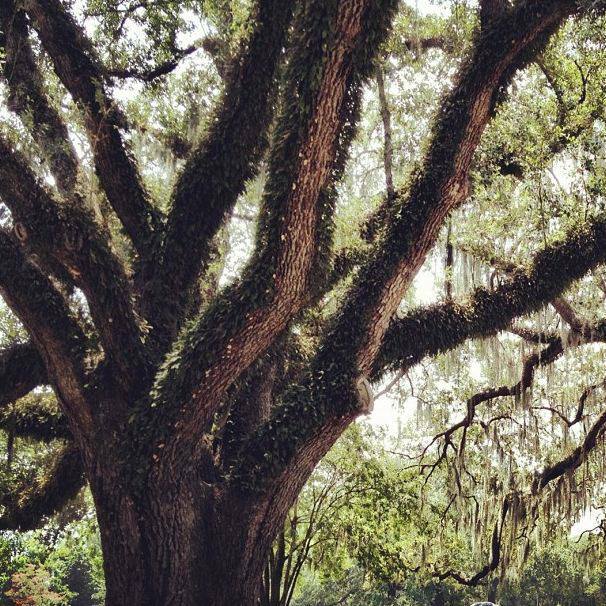 From the beginning, the live oak forest of City Park has been part of the heritage of New Orleanians. These beautiful old trees have stood as silent sentinels as the park developed into the urban oasis it is today. 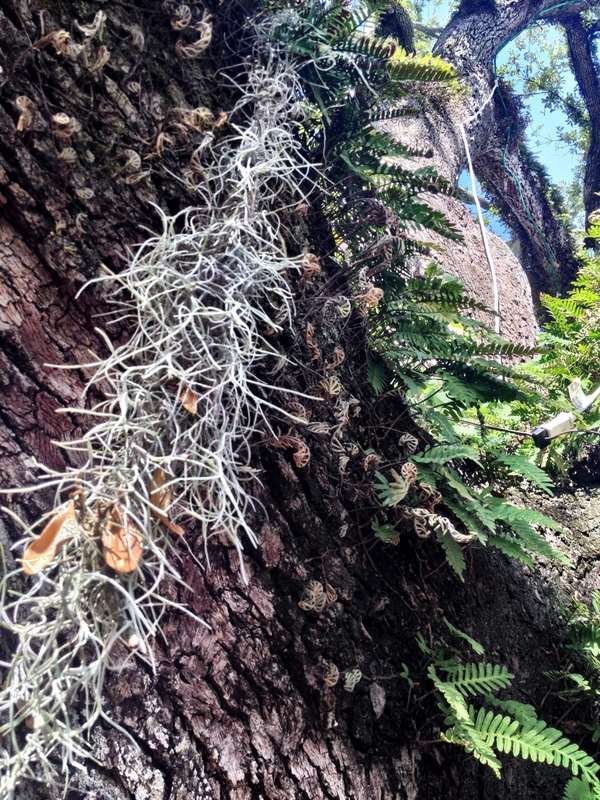 The Friends of City Park will continue to provide the care needed so that generations to come may enjoy the most significant collection of mature live oaks found anywhere. If you pass through City Park at night or early in the morning, you'll notice LED lights illuminating the Monteleone Columns at the Lelong entrance to the park. The colored lights are changed for holidays and special events.